There comes the sound of celebration! The summer is about to hit Australia and the parties this year will be never-ending. But, preparing your house at the last minute notice for a party needs a lot of your hard yakka! Of course, you don’t want all your efforts for party arrangement to go down the gurgler! Being your very own refrigerator specialists, the experts of Fast Fridge Repairs are sharing some handy hacks to clean up and sanitise the interior of your fridge. Well, don’t skip the part of refrigerator cleaning by making a mountain out of a mole hill here! It’s easy! 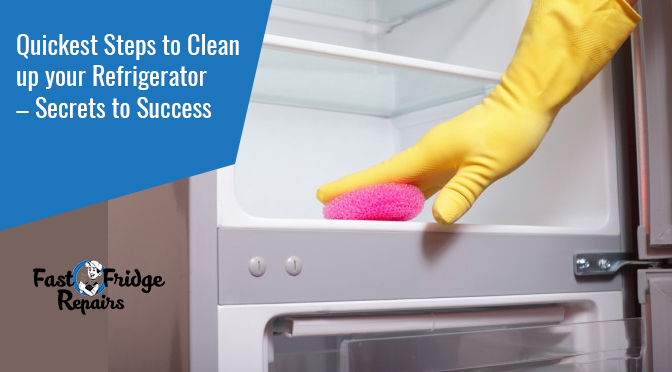 Follow the steps jotted down here and got started with cleaning up your fridge right away before the guests come into your house and find it bad enough to gag a maggot! It is the first step to start off the process. 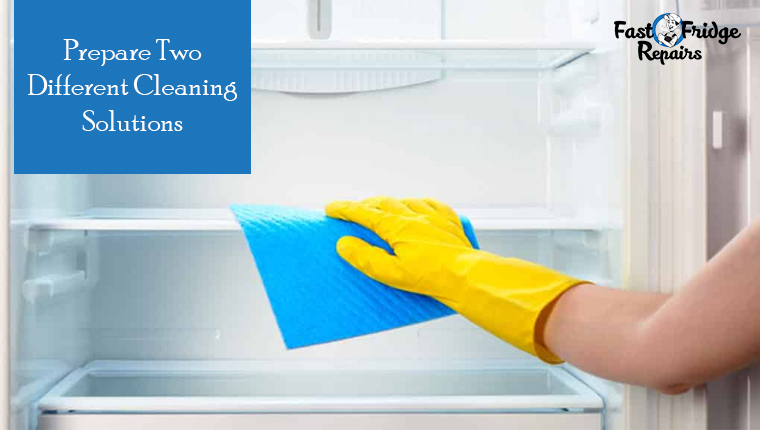 Take out all the food that is stored in your fridge and keep it away before you start off the cleaning process. 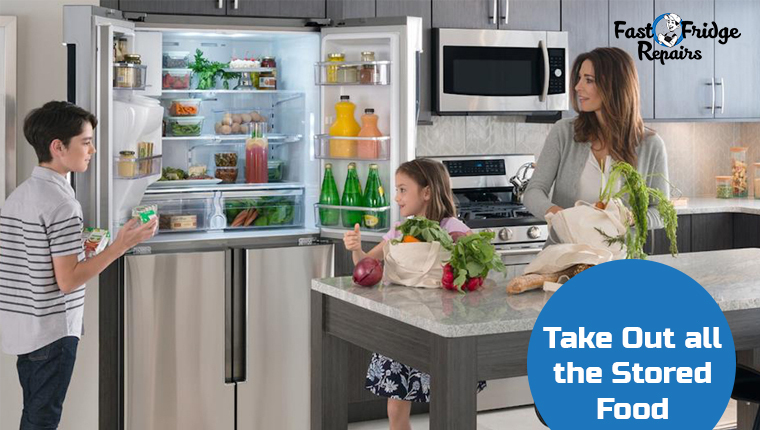 The professionals of fridge repairs in Ryde suggest that taking out the food once in a while helps to make the refrigerator function properly too. However, for cleaning, it is a must thing to do. 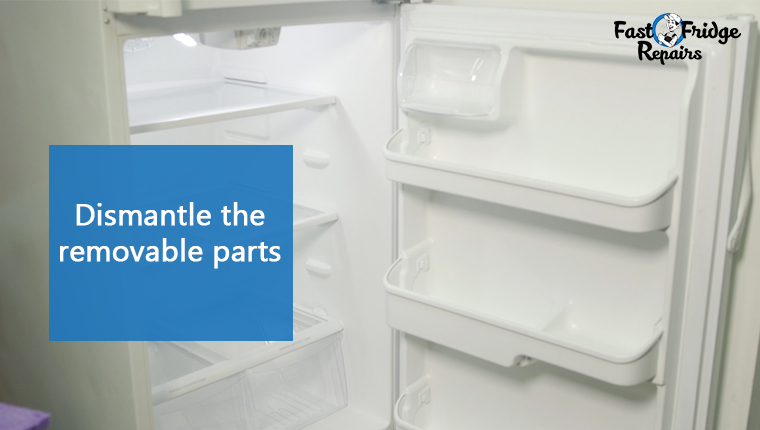 At the next step, you are required to take out the movable parts that are there inside the refrigerator. Take the shelves out of the fridge and clean those up using the dishwasher liquid soaps that are available in your kitchen. These products are just a ripper! It takes out all the oil from the shelves and makes it smell fresh. Homemade solutions are reckoned to be the best for cleaning the interior of the refrigerator. But, you need two separate liquids for that. Use a vinegar solution first and spray it on all the soiled areas inside your refrigerator. After wiping it out with a fresh commercial wipe, use lukewarm soapy water to clean up the fridge. Quick Tip: Don’t use anything but a microfiber cloth or else you will leave scratch marks on the interior of your ‘dear’ refrigerator. 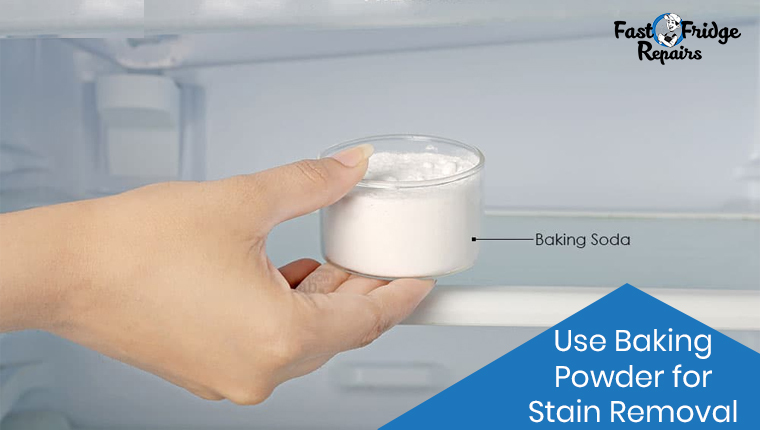 Prepare a paste of baking powder with water and put it on the areas of your fridge with stubborn stains on it. The paste is good enough to remove even the strongest stain inside your refrigerator. After keeping the baking soda for a while, you need to use a rag to clean up the area. The experts associated with Maytag fridge repairs suggest that baking powder can help in reducing the ill smell from the refrigerator too. You must have got the method right. Good on ya! However, if you are encountering any of the refrigerator parts are malfunctioning, then it may need more attention than just cleaning up or sanitising. So, don’t delay to call up our expert professionals of Fast Fridge Repairs for emergency repairing service and get ready to have the ultimate fun in the party.